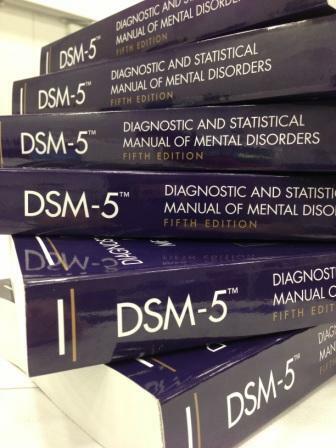 Last month the DSM-5 finally launched at the American Psychiatric Association conference. After 13 years and multiple delays, you can now pre-order your copy at Amazon (list price: $150), or just leave a helpful comment. The DSM-5 had been surrounded by controversy, and not just by the usual suspects. Allen Frances, the chairman of the DSM-IV task force, just published a scathing critique of the processes and outcomes of the DSM-5 efforts: Saving Normal: An Insider’s Revolt Against Out-of-Control Psychiatric Diagnosis, DSM-5, Big Pharma, and the Medicalization of Ordinary Life. Frances has been sounding the alarm about DSM-5 for over a year, raising concerns over the current committee’s secretive methods, conflicts of interest, expansive diagnostic inflation, and the reduction in reliability (the odds of two doctors agreeing on a diagnosis) that DSM-5. Over 50 Mental Health organizations and almost 15k people signed a petition demanding reform of the DMS-5 drafts. Although this scale of controversy would be scandalous in many fields, the APA barely flinched. The DSM-5 task force moved some of the most troubling diagnoses into the appendix, renamed a few others, skipped a round of efficacy trials to meet their deadline, and otherwise proceeded with business as usual. I have to say my jaw dropped when I learned that the National Institute of Mental Health (NIMH), and it’s $1.5B/year of funding, was “re-orienting its research away from DSM categories[!]”. The official NIMH announcement, Transforming Diagnosis, posted by their director Thomas Insel on April 29th, was picked up by a wide range of science media (NYTimes, Koplewicz @ The Huffington Post, Chris Lane @ Psychology Today, Psych Central) with headlines such as “NIMH Withdraws Support for DSM-5” and analysis that this was a “kill-shot” for DSM-5. What struck me as most shocking was that the NIMH basically came out and said that the the Mental Illnesses defined in the DSM are social constructs – “the DSM diagnoses are based on a consensus about clusters of clinical symptoms, not any objective laboratory measure.” Ironically, the anti-psychiatrist’s arguments have prevailed, although for the wrong reasons. As I interpret this statement, NIMH isn’t denying the existence of mental illness, just our current ability to agree on its nature and manifestations. But, yes, the current definitions are social constructs and continue to defy attempts at validity. Ha! But, before anyone gets too excited, what the NIMH proposes may turn out to be scarier than the system in place. This research is representative of the direction that the NIMH is heading: Suicidal behavior is a disease. Here, disorders will be sliced and diced into their constituent elements, which conform more readily to the instruments and models that scientists (neurobiologists and geneticists) already have at their disposal. I’ve been convinced for a while that within the next 5-10 years the Pharma-Industrial complex was going to invest enough research money to find a definitive neuro-imaging/molecular/genetic/biochemical marker for mental illness (that is, once the marker cast a wide enough net). However, I wasn’t expecting them to turn the tables and redefine mental illness according to what they could already test. Pretty sneaky. 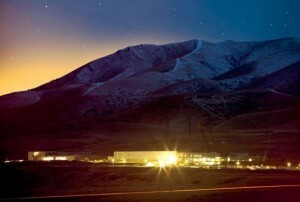 The saddest part of this whole debacle is that instead of seizing this moment of crisis as an occasion to bring together disparate stakeholders – from patients, to consumers, to survivors, to advocates, to caregivers across a range of backgrounds – and work together to develop a new language and paradigm for understanding human suffering and emotional crisis, the NIMH has doubled down on scientific authority. Soon they will be short-circuiting all debate by pointing at pretty false-color pictures and lab results. There will always be a value judgement when evaluating the boundaries of normal experience/behavior, and no scientific instrument will ever be able to tell us when someone’s experience/behavior is deviant, without human interpretation. As the disability right’s movement says: Nothing about us, without us. Somehow, for all of the NIMH’s noble intentions, I have a bad feeling that the treatment side of mental health care is poised to become more oppressive. We’ll likely continue to see the growth of anti-psychotics for everyone, and the pre-cog, pathologizing of risk through predictive and preventative care that will explosively expand the diagnostic reach. This conversation just took a sharp turn past the rhetoric of the last few decades. I hope the psychiatric resistance is following along closely, and updating their arguments accordingly. Using the Gentle Calm theme designed by Phu Ly. WordPress took 0.487 seconds to generate this XHTML page.